Windows are an essential element of a house that highly influences its look. They affect the appearance of both the interiors and exteriors. If they are strategically placed, the outlook of the entire house is changed. Further, the uPVC doors and windows have in numerous features to ensure the safety and security of the house. They are fire resistant, weather resistant, sound resistant and highly durable. Hence, the privacy and serenity of your sanctum will be maintained. Ideally, casement windows are just a smaller version of French doors. Similar to them, there are two sashes in casement windows that are hinged from the edge on one side and open outwards. They are specially designed to have a wide opening so that proper ventilation is always ensured. Further, these air-tight windows provide great sound insulation when they stay closed. Since they are equipped with an advanced locking system, burglars cannot open it from outside as well. Sliding windows are basically double hung windows turned on their sides. With two or more sashes that move horizontally within the frame and are fitted to rollers, sliding windows are one of the most versatile window designs installed at homes. The rollers ensure swift and smooth movement and make the window design apt for places that are hard to reach. One can easily open them with the push of a finger. Further, as the entire movement takes place within the frame, they are ideal for the places where optimum space utilization is required. Also, as there are no muntins blocking the outdoor view, they are installed at places where one can enjoy a beautiful panoramic view. Fixed windows are stationary and non-operative windows that do not offer ventilation, unlike most widow designs. Rather, this window design allows sufficient light to enter the home and keeps away dirt, dust and pollution. 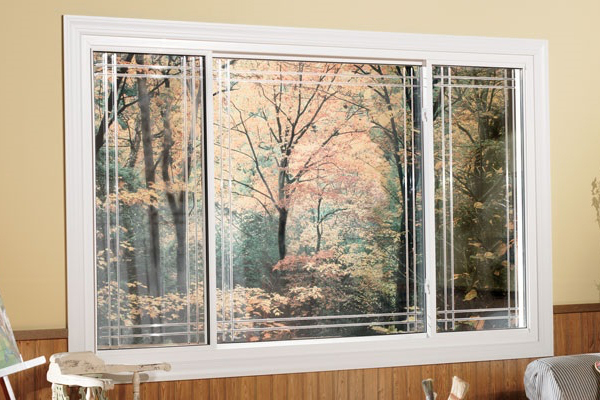 For places in the house that do not require ventilation but overlook a scenic landscape, these windows are the perfect solution as they offer an unobstructed view of outdoors. Often, this window design when paired with other windows like casement windows, the aesthetic appeal enhances greatly. Although they are believed to be a contemporary design, glass to glass windows are a unique window style that can be installed in almost any type of house. Similar to a fixed window, these are fixed window units where the two glass panes meet at 90° and are installed in the corners. Offering a wide view of outdoors and allowing abundant light to enter, this spectacular window design creates a sense of openness within the room and appears highly appealing from outside. For places that require more space, bay windows work like a charm. They are a set of three or more windows assembled together to offer greater ventilation and a view of outdoors. Further, they project outwards from the room forming a bay shape and add more space to the indoors. This creates a sense of having a personal space within the room from where you can enjoy the beautiful outdoor view. While purchasing the window units, always refer to premium brands like AIS Windows that offer high-quality uPVC windows and doors and after sale service as well.